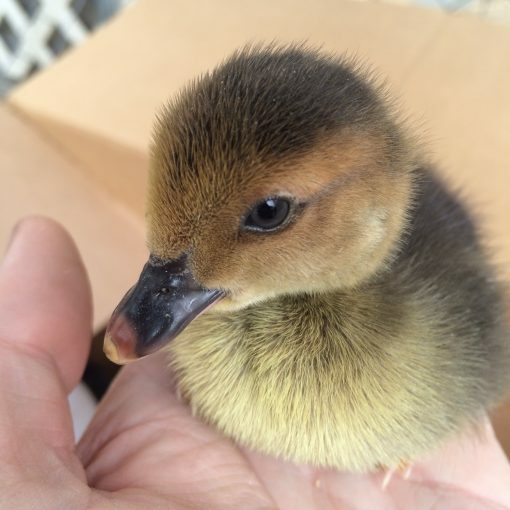 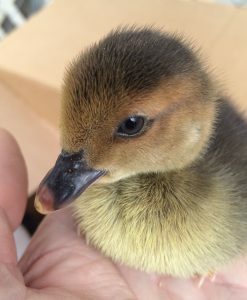 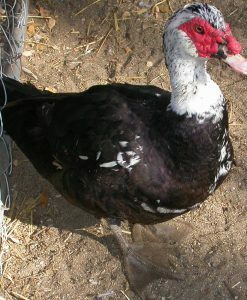 Muscovy ducklings are sold as unsexed only. 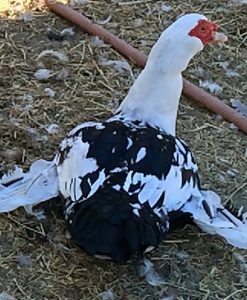 Muscovy ducks are “quackless” they bob their heads and have a gentle kind of hiss as a greeting. 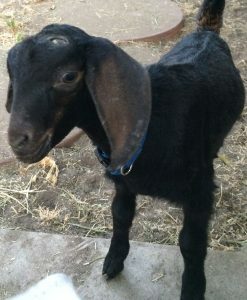 Oh, and did we mention that they are really cute to watch as they wag their tails. 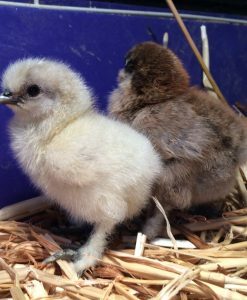 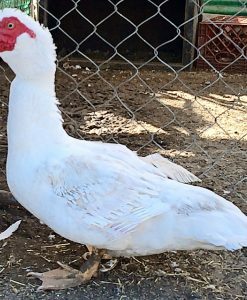 We raise our Muscovies free range so they eat flying and crawling insects and the larvae. 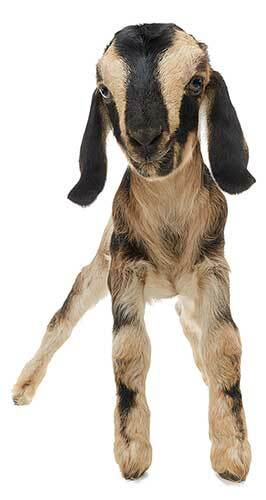 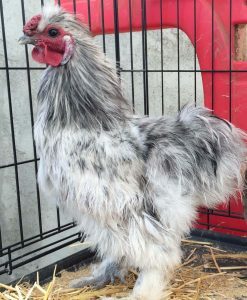 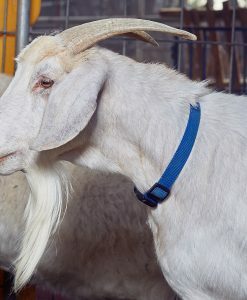 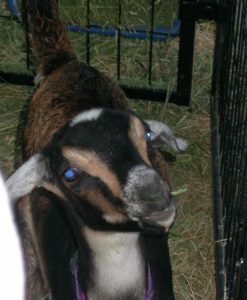 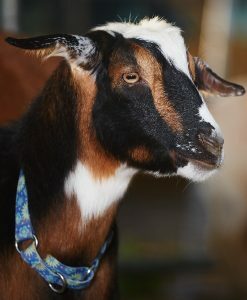 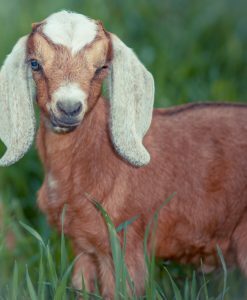 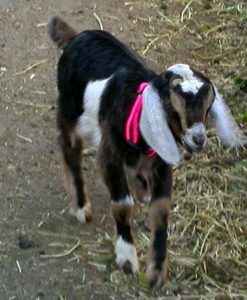 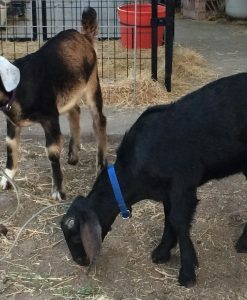 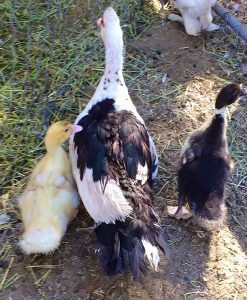 Our adult drakes (males) and females interact well with our free range chickens, goats and other livestock. 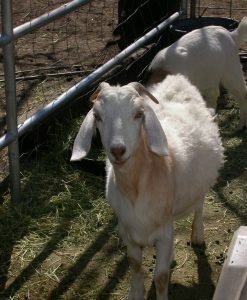 They greet us at the gate and follow us around the ranch and are quick to dive into a puddle of water. 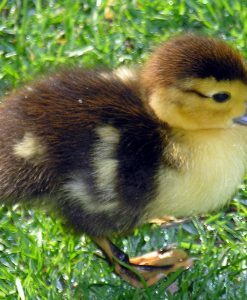 We maintain our flock to control the insect population and as a side benefit get to enjoy their friendly duck-centric antics. 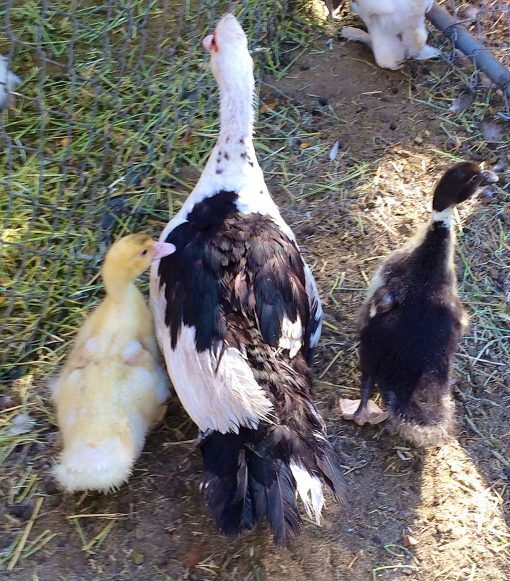 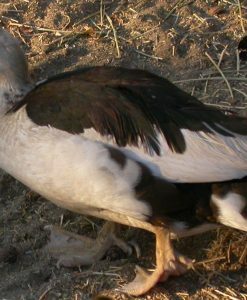 Muscovy ducks live in a flock so you must purchase at least two ducklings for them to thrive. 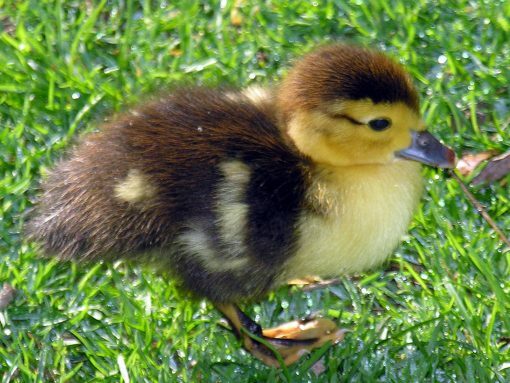 Ducks flock to forage, for protection, mating, warmth and more.